Your brain + love = MCT 143! What the heck am I talking about? When I first heard the story from Dr. Mary Newport about how MCT 143 came to be, I fell in love. This product was designed FOR the love of your brain! When Dr. Mary Newports husband Steve was diagnosed with early-onset Alzheimer's she sprang into action searching for studies and research regarding Alzheimer's. Mary stumbled upon a study that focused on how dietary intervention may benefit persons with Alzheimer's and other neurodegenerative diseases and began to research. 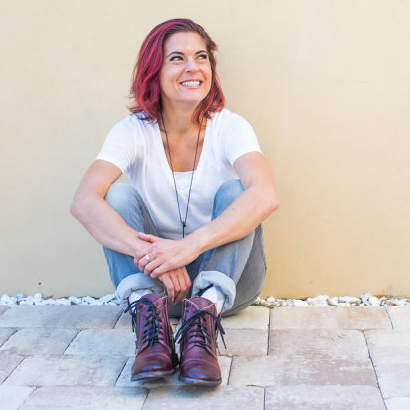 Through her research, she found that coconut oil and MCT oil paired with a sensible approach to lowering carbs to increase ketones in the body had a positive affect on such diseases by providing alternative fuel for the brain! Dr. Mary began to test this on her beloved husband Steve and noticed a difference almost instantly. The photo below gives just a small insight into what coconut oil did for her husband in under two months. Although her husband ultimately lost his battle with Alzheimer's, there is now hope for others who are at risk or are in the earlier stages of this horrible disease. 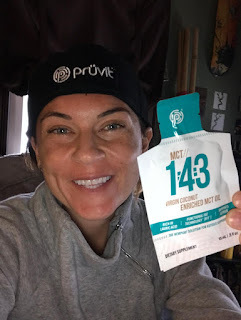 MCT 143 was crafted by Dr. Mary Newport for her husband and was designed to provide ketones as a preferred fuel for his brain. The response she saw was dramatic and now today Pruvit has brought this formula to market for anyone to use. MCT 143 is light, smooth, creamy, and tasteless which makes it the perfect addition to any food or drink. I personally like to add it to my morning Keto MAX or use it as dressing for a salad. It is packed with organic virgin coconut oil, medium chain triglycerides (MCT's), and phosphatidylcholine (PC) which are loaded with health benefits! Begin with one-half to one level teaspoon once or twice a day. Increase every 2-3 days as tolerated to prevent any gastrointestinal discomfort that can be associated with coconut oil consumption. Take with other foods. If intestinal distress occurs, cut back for a week or two and increase more slowly thereafter. Want to try MCT 143? Click here!